NSCRO is putting together a regional select-side tournament. This tournament, to be held summer of 2018 and possibly in Austin, TX, will be a selection vehicle for a NSCRO All-American's Select Side and to invitations for the USA Eagles training camps. The Northeast Select-Side will be chosen from multiple conferences in the Northeast. The primary selection vehicle for participants will be a tournament here in New England and hosted by Mystic River Rugby, on Sunday, November 12. 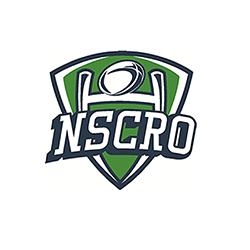 Any teams that have players that might make the Northeast Select Sides, but are in the middle of NSCRO Playoffs, will have the opportunity to have selectors scout those teams directly. NERFU will send two or three teams to the northeast tournament, and coaches are needed to schedule and host at least one player try-out and practice. College coaches are strongly urged to select one or two of their best players to try-outs and tournaments. Selections and northeast tournament for women’s college clubs will be in the Spring, following a similar schedule. More details to be released at a later date. Interested coaches and volunteers should reach out to Executive Director of Colleges Jerm Madison at jermtherugger@gmail.com.